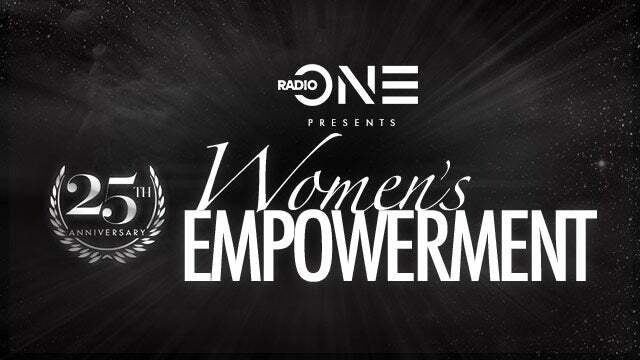 UPDATE: Several wonderful personalities have been added to the 2019 Women's Empowerment lineup. Stay tuned for more additions! Dr. Glenda Baskin Glover, Ph.D, JD, CPA - International President of Alpha Kappa Alpha Sorority, Inc.
Beverly E. Smith - National President & CEO - Delta Sigma Theta Sorority, Inc.
Andrea M. Fleming, Appointed Representative - Sigma Gamma Rho Sorority, Inc.
Dr. Irish Spencer - National Zeta Phi Beta March of Dimes - Zeta Phi Beta Sorority, Inc.
For more information, including updates on additional speakers, seminars and performers for this year’s event, please visit FOXYNC.COM. Groups of 8 or more receive $4 off the ticket price (excluding $95 and $250 tickets). For group orders, call 919-861-6218.